A year since her appearance on the eighth season of RuPaul's Drag Race, Cynthia Lee Fontaine returns to the Laurie Beechman Theater with Cynthia Lee Fontaine’s More intimate CuCu Confessions. Sharing stories from her past, both naughty and nice, Cynthia Lee Fontaine is a personality like no other. 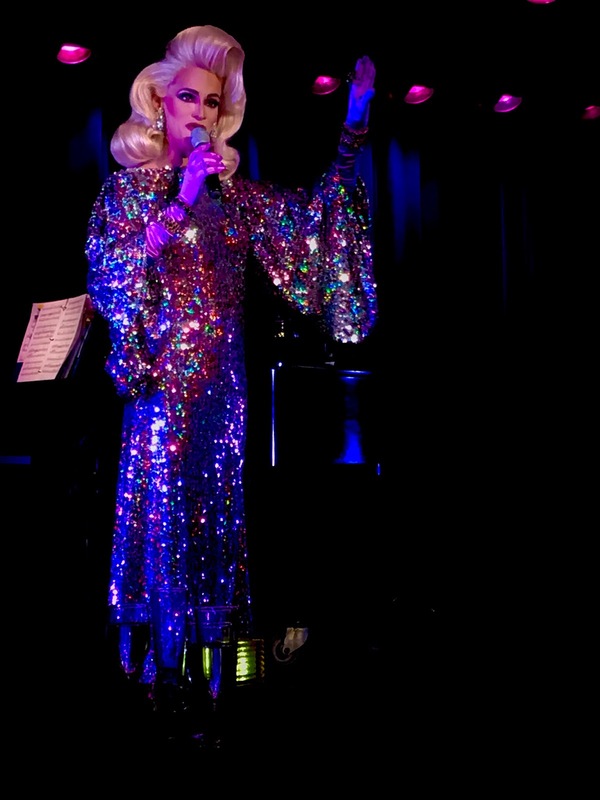 A reimagined of her original solo cabaret, Cynthia Lee Fontaine’s More Intimate CuCu Confessions marries music, storytelling, and comedy in an hour-long celebration of love and life. Looking stunning in a flashy gown, Cynthia Lee, and her CuCu, was nothing but real. Incorporating some new material with bits from her original show, Cynthia Lee Fontaine’s More Intimate CuCu Confessions. is well on its way. Since it’s last incarnation, the show has evolved. She still shares her intimate moments, including growing up abroad, the influential parental figures in life, as well as her bout with cancer, which she proudly revealed she is now cancer free! And it wouldn’t be a CuCu confession without the origin story to her signature catch phrase. The new addition to the show is her stand up bit. Stand up you ask? Well Cynthia Lee Fontaine is hilarious, intentionally and not! Her set included a bit about waiting for a plane, sitting her CuCu with herpes and how not fun an experience that is. Coming from a Miss Congeniality, it seems like a whacky story, but she’s crazy at heart! Vocally, Cynthia shows off her range by singing Latin standards as well as a tribute to the Pulse Orlando victims in “Wishing You Were Somehow Here Again” from The Phantom of the Opera. She has a natural rasp in her tone that sets her a part. Cynthia Lee Fontain is an effervescent performer. Her piece may still need a shine but when you have a personality like hers, you can forgive the flaws. The more she puts the show up in front of an adoring audience, the more comfortable she will get.